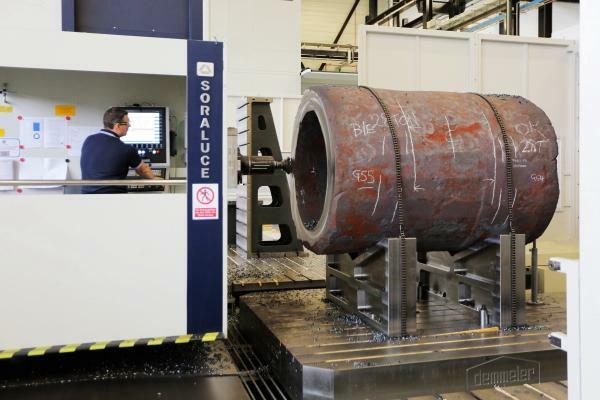 Machining R&D at the Nuclear AMRC focuses on innovative and optimised processes for large high-value engineered components. We give manufacturers a competitive advantage by reducing cost, risk, and lead times. The extremely large size of many nuclear components, allied with strict precision and quality requirements and a high cost of raw materials, presents significant challenges for standard machining processes. In terms of materials, we work with the full range of stainless and structural steels used in the nuclear industry. We also have extensive experience in machining other specialist metals including titanium and high temperature alloys. 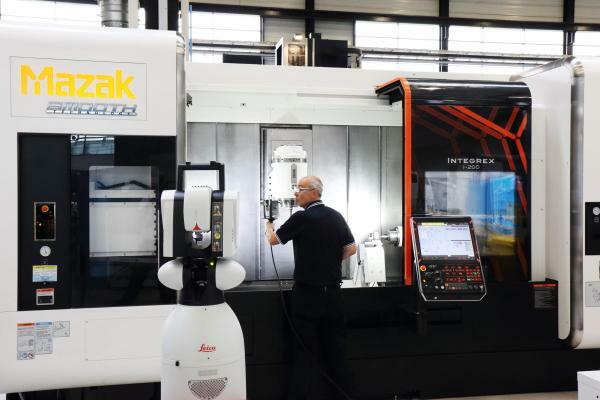 Our research factory in Rotherham hosts a variety of large machine tools which offer a comprehensive capability of industrially-relevant machine configurations including milling, turning and deep-hole drilling. We can handle workpieces of up to 12 metres length and five metres diameter, and weights up to 50 tonnes. We also have a selection of smaller machine tools, similar to those used by many SME machine shops, to tackle production challenges along the supply chain. 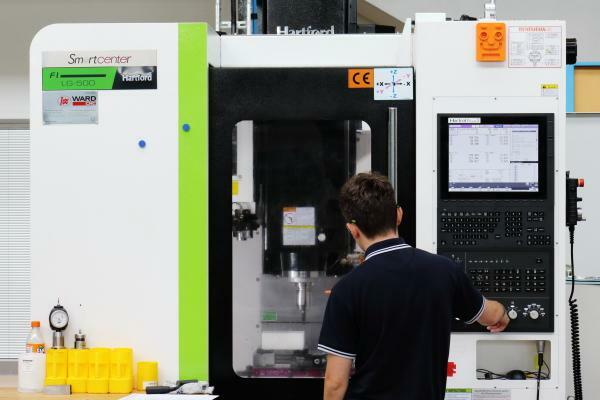 These machines mirror the capabilities of our large machines, and also provide a machining science platform for fundamental early-stage research into innovative techniques, machinability studies and cutting tool characterisation. Advanced coolants – minimum quantity lubrication, near-cryogenic and supercritical CO2. Next generation machining – investigating and proving close-to-market technologies. Next generation materials – characterisation of cutting performance. Digital machining – in-process inspection and monitoring. Portable and deployable robotic machining platforms. Our machining platforms (detailed below) are complemented by a comprehensive selection of instruments, monitoring capabilities and analysis tools, and our engineers’ wide range of skillsets from academia and industry. For more information about our machining capabilities and research, contact Carl Hitchens, Nuclear AMRC head of machining. Very large vertical turning/milling lathe, capable of working on parts up to 5 metres diameter and 3 metres height. Advanced features include ultra-high pressure coolant turning and high pressure coolant milling, and high-speed spindle (up to 14,250rpm). Capable of producing reactor vessel internals, heat exchanger and steam generator tube sheets and support plates, wind turbine hub connectors, oil and gas wellheads, and large pump and valve casings. Research focuses on new techniques for single set-up process security to provide consistent quality on the largest workpieces. Very large floor-type horizontal boring machine, capable of working on pieces up to 12 metres length and 5 metres diameter. Wide range of machine configurations, with advanced features including automated head changing, combined linear guidance and damping, and dynamic ram balance system. Ideal for five-sided machining of very large complex parts, such as pumps, valves and offshore wind turbine hubs. Research focuses on innovative techniques to reduce set-up times and provide consistent quality in single set-up machining. Large high-precision horizontal boring machine, with turning, milling and deep-drilling capabilities. Capable of taking components up to 3.3 metres diameter, 2.5 metres height and 20 tonnes weight. Research is focused on developing new and innovative machining techniques for nuclear pumps, valves and tube sheets. R&D into high-performance drilling of high length-to-diameter ratios on a milling platform, and use of ultra-high pressure coolant for high length-to-diameter drilling. Heavy-duty machining centre for milling, turning, drilling and multi-diameter turn-face capabilities. Spindle can be locked in either horizontal or vertical position using mechanical hirth coupling. Tangential turning function for single point turning, boring and facing flange features. Ideal for machining valve bodies and housings requiring turning, milling and boring. R&D focuses on process optimisation and new techniques for special features. Features include sub-spindle, bar support unit and three programmable travelling steadies. 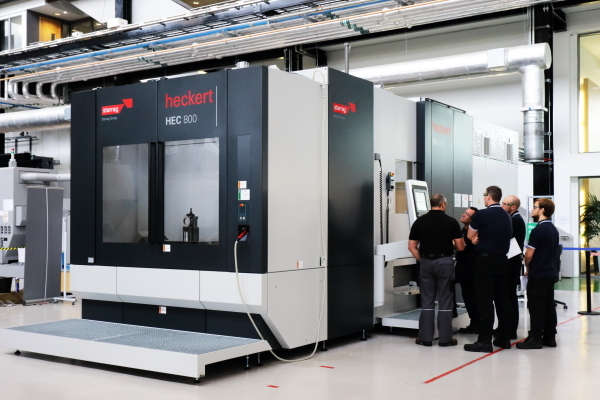 Capable of machining very slender workpieces of over 6 metres length, or large components of up to 1 metre diameter and 7 tonnes weight. Can produce a wide variety of components such as large seals and valve bodies. Research focus is on innovative machining techniques for the rapid manufacturing of ultra-slender reactor components with length-to-diameter ratios of over 150:1. Compact machine tool for tapping, drilling and milling workpieces up to 300kg. Advanced features include Fusion Coolant Systems supercritical carbon dioxide system, and SKF minimum quantity lubricant (MQL) system. Comprehensive range of instruments to measure machining forces, temperature and power use. Problem-solving for SMEs and sub-contractors. Fundamental research, tooling optimisation and machinability studies. Single set-up high-precision machining on workpieces measuring up to one metre, combining the capabilities of a high-powered turning centre and full-function machining platform. ChilAire near-cryogenic liquid carbon dioxide coolant system. Large deep-hole boring centre, capable of drilling 5-110mm diameter and 8 metres depth. Advanced features include the world’s first programmable drill tube vibration dampers, high-pressure coolant system, and constant monitoring of key process variables. Capable of producing key parts for reactor internals, plus high-value parts for oil and gas and other industries. Research focuses on developing new techniques to drill extremely deep holes (length-to-diameter ratio up to 500:1) in a single automated process.